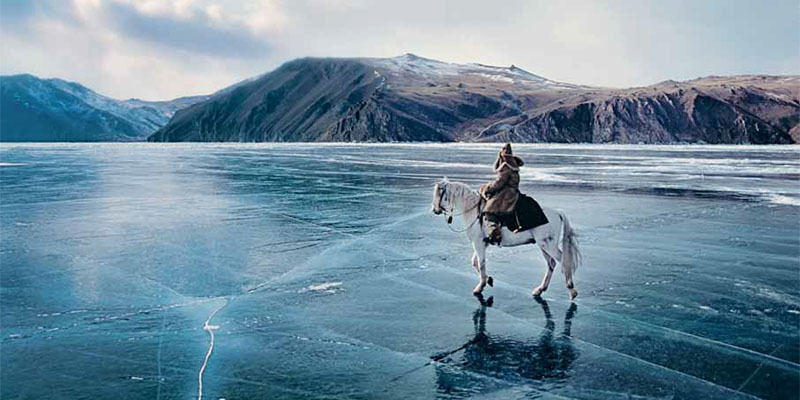 Baikal is not only one of the greatest lakes of the world. Baikal is a system of myths and images which has been formed for many centuries. The analysis of old maps shows that only 200-300 years ago the existence of Baikal was the subject of wild speculations. Today the image of Baikal is a world brand. However citizens of Irkutsk and other towns located around Baikal can hardly make any profit on it. The reason is the absence of specialists who would be able to work with such a complex and strong image as Baikal. sobranie, vol. 237, double leaf 3. Galazy, G. I. ed. (1993) Baikal: Atlas. Moscow: Fed. sluzhba geod. i kart. Rossii. Grumm-Grzhimailo, G. E. (1926) Western Mongolia and Uryankhai Krai [Zapadnaya Mongolia i Uryankhaisky krai]. vol. II. Leningrad: RGO. Gumilev, L. N. (1959) The problem of Dinlins. Revision of G. E. Grumm-Grzhimailo’s hypothesis in light of new historical and archeological materials [Dinlinskaya problema. Peresmotr gipotezy G. E. Grumm-Grzhimailo v svete novykh istoricheskikh i arkheologicheskikh materialov]. Izvestiya Vsesoyuznogo Geograficheskogo obshchestva SSSR. vol.1, pp.17-26. Gurulev, S. A. (2010) Baikal, what does your name mean? [Chto v imeni tvoem, Baikal?]. 3rd ed. Irkutsk: Izdatelstvo Ottisk. Hsu, Mei-Ling (1988) Chinese Marine Cartography: Sea Charts of Pre-Modern China. Imago Mundi, vol. 40, pp. 96-112. Jenkinson, Anthony (1937) Travelling from London to Moscow [Puteshestvie iz Londona v Moskvu]. Angliyskie puteshestvenniki v Moskovskom gosudarstve v XVI veke. Translated by Yu. V. Gotye. Moscow: Sotsekgiz. Maltsev, Yu. (1973) Mysteries of the name of Lake Baikal [Zagadki nazvaniya oz. Baikal]. Za nauku v Sibiri,17 October, p. 8. Osminina, R. (1979) The secret of Godunov’s map [Taina “godunovskoi” karty]. Vokrug sveta, vol. 3 (2462), March, pp. 38-43. LIDIN, Konstantin. Baikal: Myth and Image. project baikal, Russian Federation, n. 37-38, p. 112-118, sep. 2013. ISSN 2309-3072. Available at: <http://projectbaikal.com/index.php/pb/article/view/573>. Date accessed: 23 apr. 2019. doi: https://doi.org/10.7480/projectbaikal.37-38.573.